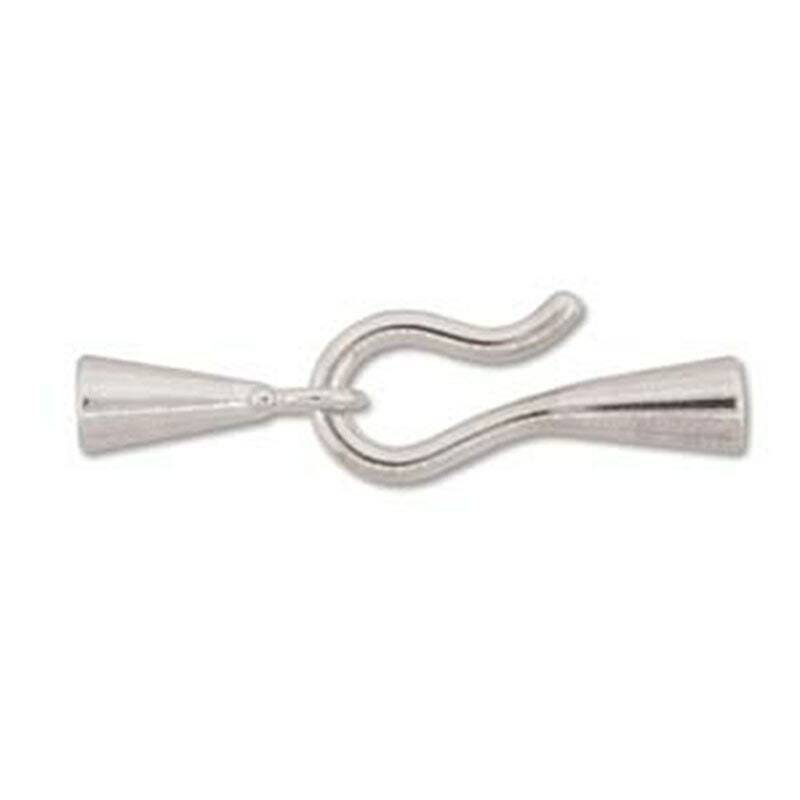 Sleek silver plated hook and eye glue in end caps. These are great for kumihimo fiber arts or for thicker cords. These are brass based with a silver plate. Inside diameter measures 3.2mm. You will receive 4 sets. this is going to work perfectly on my new project. Quick shipping and just as described! Thank you!